Animation Video Squeeze Pages which comes with a splendid master resell rights license is the template you need to get animated in video and visually capture the undivided attention of your target audience to drive them to your website for sales. Everyone buys first with their eyes, right boys? This means that in order to attract the wanted attention online in order to make money, there’s got to be something visually stimulated for focus. This is the tool that shows you how to deliver with firepower. When you have the video visual professionally leading the sales pages, you WILL win your target audience over and from there the sky is the limit. It won’t take long for your online marketing campaign to take off with the right tools and this is your launch pad to do it. You have the power and now you just have to apply. 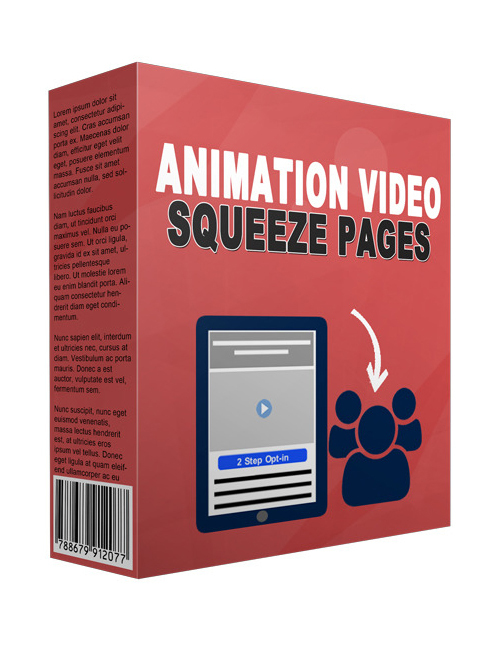 Animation Video Squeeze Pages is your solution. Grab it and get started winning right now.